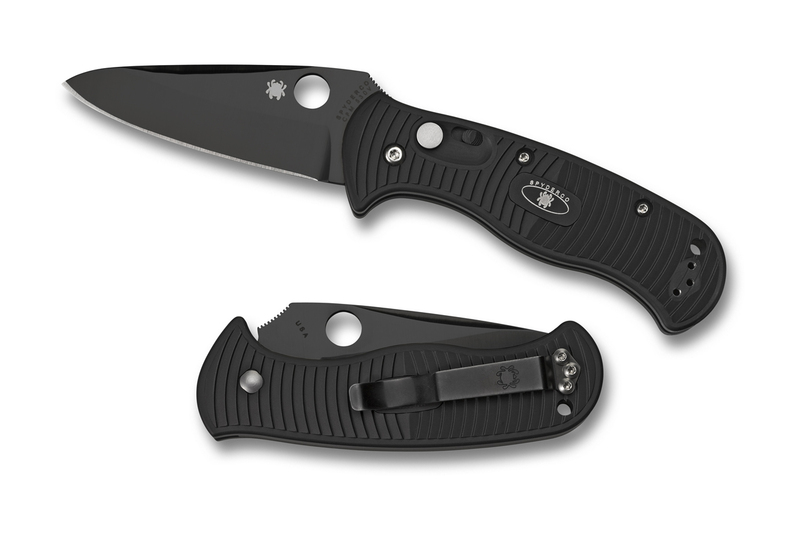 Description: Like all of Spyderco’s Restricted items that appear in the Save & Serve catalogs, the Automatic Citadel Jr. C119 does not appear on their online catalog, and is only available to qualified personnel via the S&S Catalog. Because of this, these models are not often talked about. The Citadel Jr. is a high quality side-opening automatic using premium steel made in the USA like all the S&S models. This entry was posted on Saturday, December 12th, 2009 at 3:41 pm	and is filed under 3" to 4" Knives, Designer - Sal Glesser, Features - Black Coated Blade, Features - Screw Construction, Handles - FRN, Lock - Button Lock, Manufactured - USA, Steel - CPM-S30V, Type - Automatic Knife, Type - Folding Knife, Type - Law Enforcement. You can follow any responses to this entry through the RSS 2.0 feed. You can leave a response, or trackback from your own site.